DOCTOR WHO - How I learned to stopped worrying and love TIME AND THE RANI | Warped Factor - Words in the Key of Geek. JNT: So BBC, we’re three months from production with no script editor, no writers, no directors, no actors and no scripts is Doctor Who canned or what? BBC: Well now you don’t have a Doctor either. And we’re thinking of putting it on against Corrie. You can keep Bonnie Langford though. 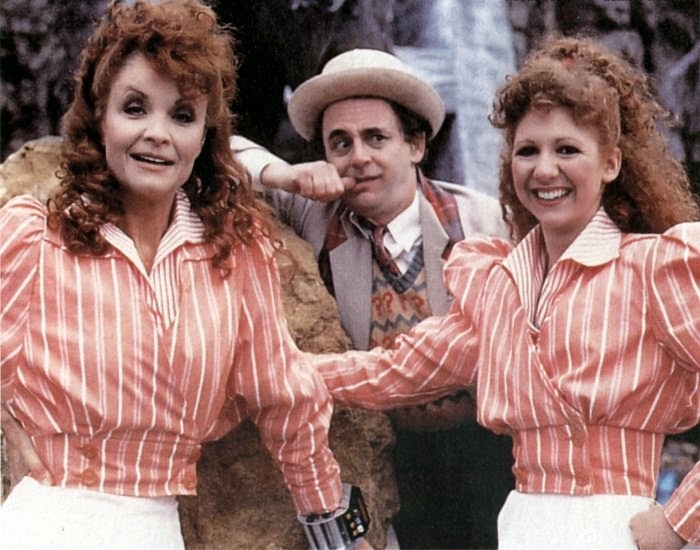 The fact that we got anything at all that was even vaguely passable was nothing short of a miracle, but personally I love ‘Time and The Rani’. I don’t like it very much but I do love it. The biggest elephant in the room is that regeneration, so utterly awful it’s a prime example of why you shouldn’t open a story with a regeneration, although that didn’t stop them pulling the exact same trick nine years later. 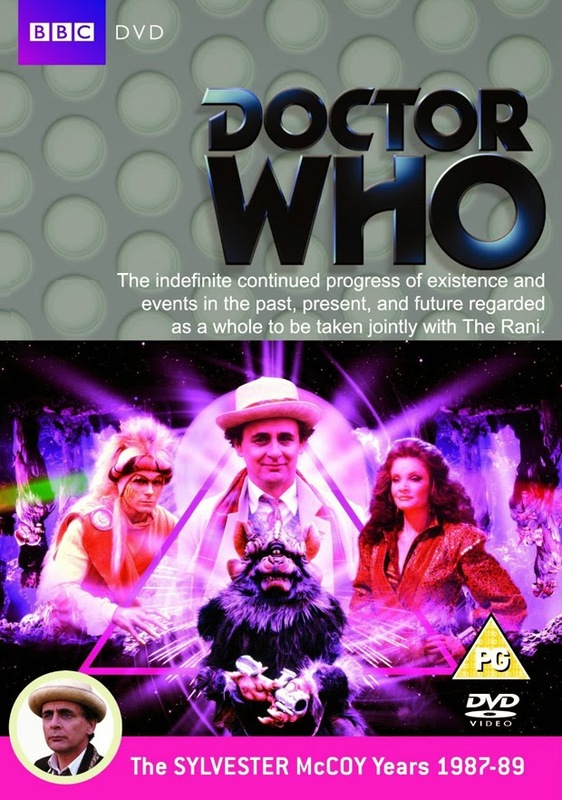 Yet the changeover in The TV Movie really isn’t that much better than the one in ‘Time and The Rani’, in many ways its worse as it mostly eats into what little of the movie there is. It’s not Colin Baker’s non-participation that makes it awful, it’s just simply a bad way to begin a story. At least that’s what our expectations tell us. Imagine a parallel world where William Hartnell did not regenerate in ‘The Tenth Planet’, as the recently unearthed original script revealed was exactly the intention, and ‘The Power of the Daleks’ began with Patrick Troughton and no explanation at all. It’s not such a radical thought, the Bond movies never offered any explanation for changeovers and it did them no harm. Imagine how exciting it would have been if that had been the case for Doctor Who and this was actually the first time we ever got to see it. That would have been the most exciting thing in the world ever. Alternatively, imagine if this had been the first time they decided not to show a regeneration. It would have perhaps been hated at the time but the years would have been kinder to it. Certainly no one batted an eyelid that we didn’t get to see (initially) the Eighth Doctor regenerate. Yes, the circumstances were entirely different but I know which one I think works better. There is so much potential here, all with the best intentions but they just don’t come off and this is before we have even seen the title. To be fair, that’s an accurate description of what it’s about so I have now changed my opinion entirely. It’s a great title that makes me think that just maybe Pip and Jane Baker were perhaps a little too intellectual for Doctor Who. No other writing team could get so many malapropisms into ninety minutes without knowing an obscene amount about the English language in the first place ‘The Mark of The Rani’ is also packed with beautiful words. You don’t have to be a genius to understand it but you do have to be a bit of scholar to appreciate it. Say what you will about their plots, their dialogue was beautiful, even when they were being deliberately bad. The whole thing does generally have a ‘spring clean’ feel about it. After three years of uncertainty and inconsistency culminating in the head scratcher that is ‘The Trial of a Time Lord’ having a story that goes back to the adventure serial of old, with some fairly decent production values for the time I’d add, is hugely refreshing and precisely what the series needed at this time. Then of course there’s Sylvester McCoy, who actually gives my favourite first performance as The Doctor. No, I’m not talking about the pratfalls and spoon playing, I’m talking about the first five minute when he awakes in The Rani’s laboratory ‘That was a nice nap, now down to business’ before reeling off a stream of typical ‘Doctor tasks’ he has to do before realising he is the company of The Rani and instantly turning on her. He doesn’t even notice he’s regenerated, there’s none of the usual ‘oh-I’m-so-weak/confused/mad’ acting that we have become accustomed to. Apart from one daft moment when he falls over for no reason, this is a great way for a Doctor to start, I personally find the ‘I’ve just regenerated, I’m going to be barmy’ approach rather tiresome. Sadly it doesn’t last, he gets knocked out, dosed with amnesia and spends the rest of the adventure being a bit barmy. This is quite common in ‘Time and The Rani’ every moment of brilliance is undercut by a moment of silliness, this is why I find it hard to like. But I love it for what it represents, for many years it’s been dismissed as the beginning of the end, and until 2005 was very much the case. For me, it’s when Doctor Who came out of the alleged nadir it had sunken into, not in a blaze of glory but in a ‘baby steps’ kind of way. From this point onwards Doctor Who consistently improves, ‘Paradise Towers’ is better than ‘Time’, ‘Delta and the Bannermen’ improves on ‘Paradise’ only to be bested by ‘Dragonfire’ all of which are completely surpassed by ‘Remembrance of the Daleks’ and all the wonderful comic strips, novels, comics, audios and re-boot we’ve had since it all started here. But most important of all, I am a child of the late Eighties so this is the very first appearance of MY Doctor. How could I not love it?